So fellow travelers, we bid farewell to an Old Yankee Man this week. I say “we” because fellow farmie Lisa Dingle has shared him so graciously with us in her wonderful blog. I have been thinking of her and her family a great deal these days as they weather his passing together. 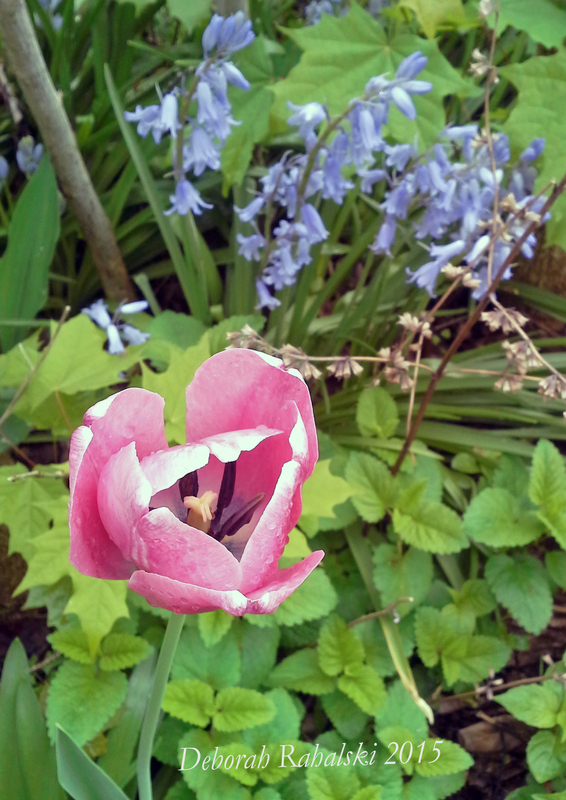 This morning as the morning sun peered through dissipating rain clouds, a single random tulip caught my eye. I grabbed my camera and took several photos. The haiku followed when I noticed the heart in one of the shots.